You are at:Home»iPhone»Repair»Can I Fix My iPhone Screen Myself? Read This First! Your iPhone screen is cracked and you’re wondering if you can fix it yourself. Even if you’re reasonably confident in your skills as a “tech person,” speaking as an Apple tech, you should know that it’s easy to do permanent damage to your iPhone if something does go wrong. 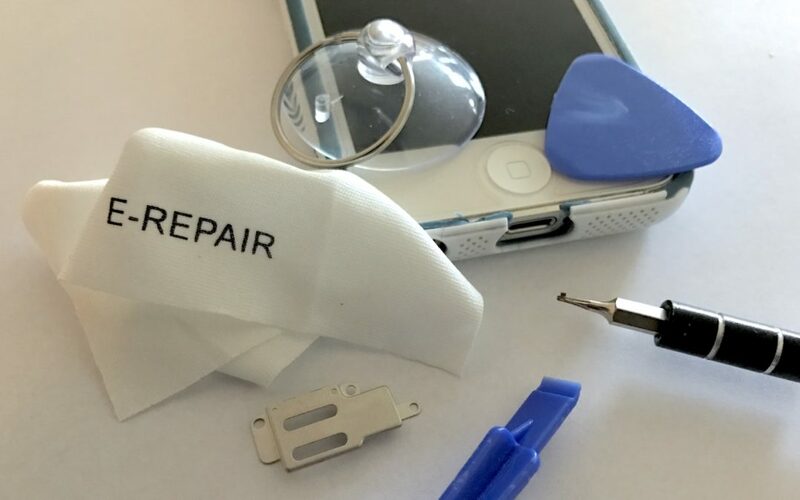 In this article, I’ll answer the question “can I fix my iPhone screen myself?”, because you need to feel confident in the repair option you choose. Can I Fix My iPhone Screen Myself? Here’s What You Need To Know. 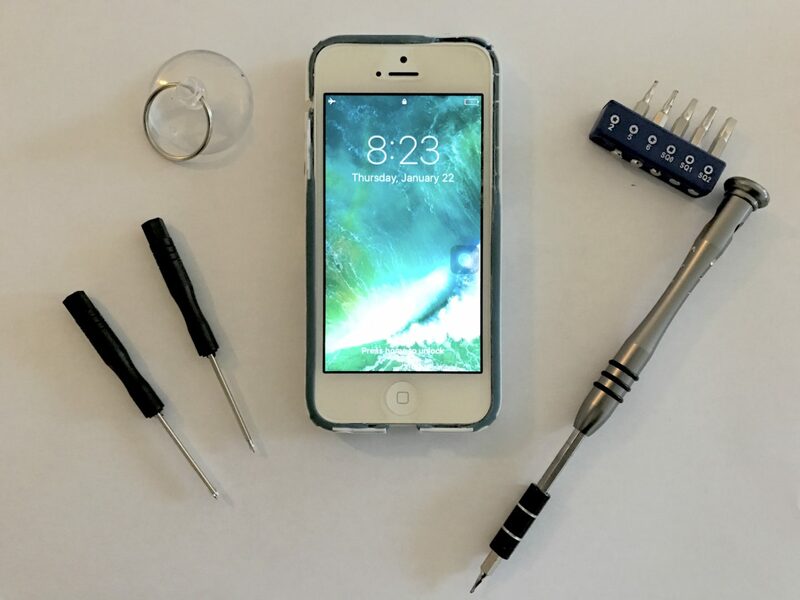 First of all, fixing an iPhone screen a complicated repair, even for expert iPhone technicians. It’s easy to damage one of the tiny connectors on the inside of an iPhone when you’re disconnecting or reconnecting the new display. 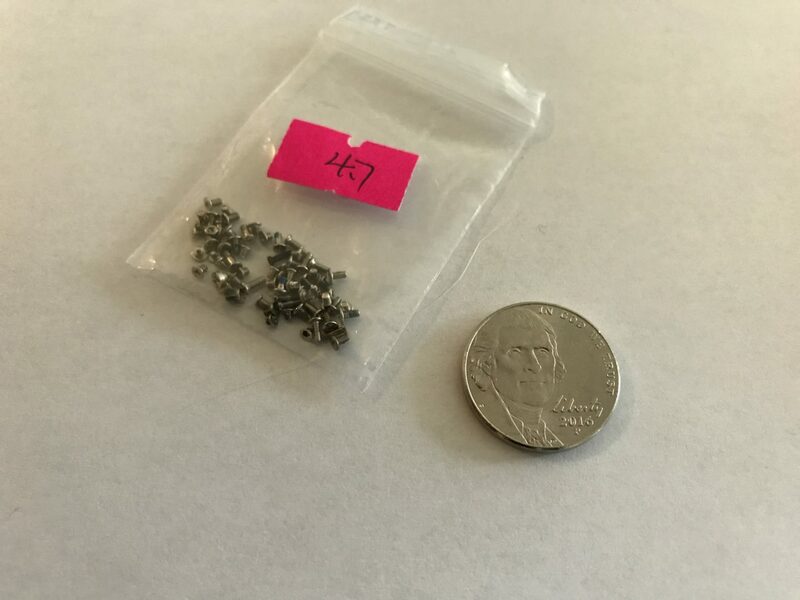 iPhone screws are very small! Perhaps the most important thing to know is that whenever you open your iPhone and replace a component with a non-Apple part, your warranty is voided completely. That means that Genius Bars and Apple Mail-in Support will refuse to repair your iPhone, and may have cost $199 to fix at the Genius Bar now becomes a $749 dollar expense. Why? Your only option will be to buy an entirely new iPhone at full retail price. 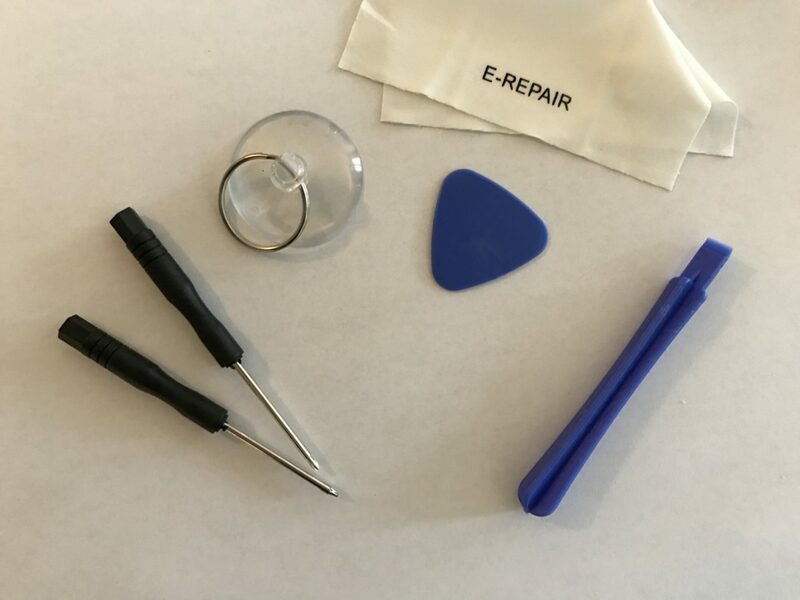 If you understand all these risks and still want to fix your iPhone screen yourself, you can get a full iPhone repair kit on Amazon. If Apple is too expensive, the third-party options we recommend below can save you money and guarantee the work. We strongly, strongly recommend that you explore your other repair options before trying to repair your iPhone screen on your own. Where Should I Get My iPhone Screen Repaired? There are a number of options that you can explore for repairing your iPhone screen. We’ll walk you through each one so you can choose the right one that fits your level of technical skill and budget. First, you can set up an appointment at the Genius Bar at your local Apple Store. Apple is usually the most expensive repair option, but they do good work. The drawback is that Genius Bar repairs can take a lot of time. Genius Bars are usually swamped and you could be standing around for hours or be sent home if you don’t have an appointment. Apple also offers an online mail-in repair service. They’ll send you a box with a prepaid shipping label and turnaround time only takes a few days. Any repair done by Apple comes with a 90-day warranty. To set up an online repair or make an appointment at the Genius Bar, visit Apple’s support website. The Apple Store isn’t your only repair option. If you don’t want to fix your iPhone screen by yourself, we confidently recommend Puls. Puls is a repair service that will send a certified technician to you, whether you’re at home or at the office. They’ll fix your iPhone screen in as little as 60 minutes, and all Puls repairs are covered by a lifetime warranty. Fixing an iPhone screen is complicated, so think carefully about which option is best for you. We know you’ll be able to make an informed decision about whether you can fix your iPhone screen yourself. Thanks for reading our article, and we hope you’ll share it on social media or leave us a comment down below if you have any other questions about your iPhone! Previous ArticleHow Do I Make Ringtones For An iPhone? The Expert Guide! Next Article Why Does My Android Battery Die So Fast? The Best Phone / Tablet Battery Life Savers!